Back in 2010 when I started this blog, I wanted a place that I’d love to go to. I imagined what kind of articles I’d love to read and how they would make me feel. I wanted to feel inspired to create beauty and elegance in my life at the same time as still being me. I am a very practical person who values simplicity and thrift. I don’t like to be wasteful and I consider myself a good steward of my resources. 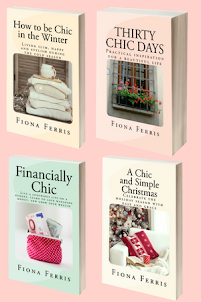 So my chic and elegant blog looked different to other chic and elegant blogs. Mine wasn’t about shopping and dressing up, although I do love nice things. 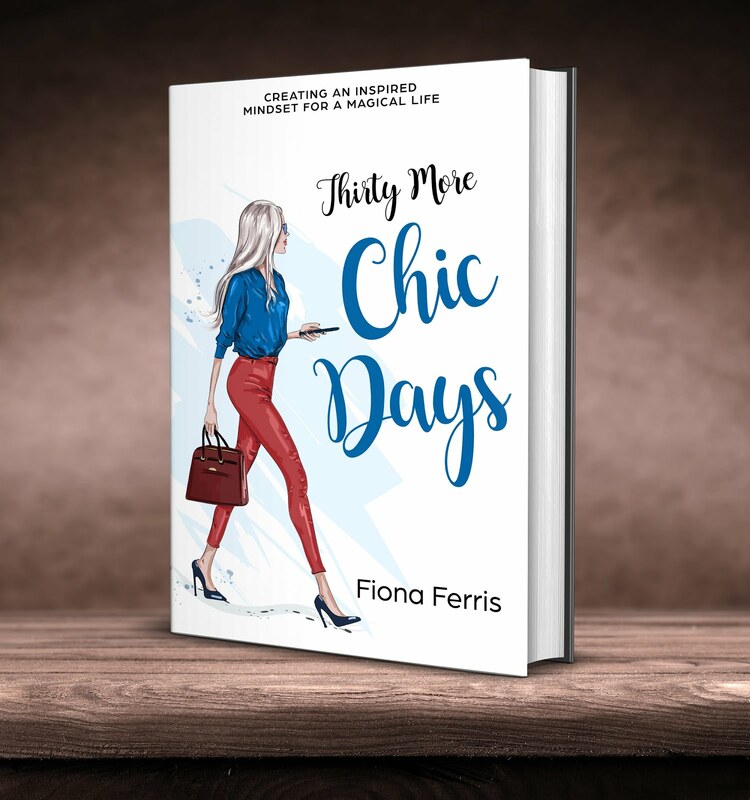 I sometimes think to myself ‘hmmm, for a blog called ‘How to be Chic’, I don’t often write about clothing and appearances’ which is what ‘chic’ is most often thought of. I think I tend to be drawn to 'chicness of the mind'. Diana Vreeland said ‘the only real elegance is in the mind; if you've got that, the rest really comes from it’, and I think it’s so true. I could dress in all the chic accoutrements such as a little black dress and pearls, channelling Audrey Hepburn in Breakfast at Tiffany’s, but if I slouched and was sloppy I would not be like Audrey at all. Audrey was chic in the most casual of clothes and I think this is true of any of our chic iconic ladies throughout history. Through their elegant demeanour, way of being and the way they are in the world, they bring chic to whatever they are wearing, as well as their surroundings. I still love to remember the way I felt when I started this blog and of the way I wanted to be in the world, because even though it was almost six years ago and lots of things have changed, there are other things that have not changed at all. If anything, I’ve become more of who I am – valuing simplicity, peace of mind, quietude and creativity. When I write I want to bring these feelings to others around me too, to those who crave slowing down, feeling serene and wanting to enjoy their everyday. Rather than wish for our lives to be completely different when things get hectic and we feel ground down, I prefer to identify and weed out those things that are adding to the noise so that I can enjoy the rest, thus creating a calm and joyous way of living. It takes time and patience, and over the years I’ve worked on different pockets of my life, helping them to flow with more ease so I can feel more peaceful. It’s not always easy and sometimes you have to feel selfish and put yourself first. But the times I’ve done this I’ve realised the only selfishness registering was in my mind. It’s mind-blowing to look back at something that I had to psych myself into doing and then once I’d done something about it… nothing happened, except that life felt better. Something that comes to mind is bringing up doing something different at Christmas or for your annual vacation when you’ve traditionally done 'X'. I now have a list where I add items that are slightly bothersome in my life. Mostly they are little, and over time I can tick them off. It might be as simple as clearing a perpetually cluttery corner or dropping off a stack of magazines to the hospital waiting room. Making a hair or dentist appointment is something I often let lag and it stays on my to-do list for too long. It’s just a phone call! ‘It’s not the mountain in front of you that gets you down, it’s the grain of sand in your shoe’ is a quote I often remember. Fix up the little things that are prickling at the edge of your serenity and life will be smoother. What a lovely and uplifting post today, Fiona. As for bothersome things in my life, well, there really aren't that many, with the exception of the realization that whatever is on the To Do list (mental or actual) as one item is crossed off, another one jumps aboard! Life is simply a continuum of To Do lists, and as we get older (sorry to sound depressing) even a short list can sometimes feel burdensome and so I think it's important for we older women to pace ourselves and only take on tasks that we can comfortably cope with and to get a handle on what is essential and what is desirable. OK, we sometimes have to push ourselves otherwise we'd never get anything done, but not so much that we exhaust ourselves We do need to make time for ourselves and, in order to do that, to look closely at what we think are essential tasks? 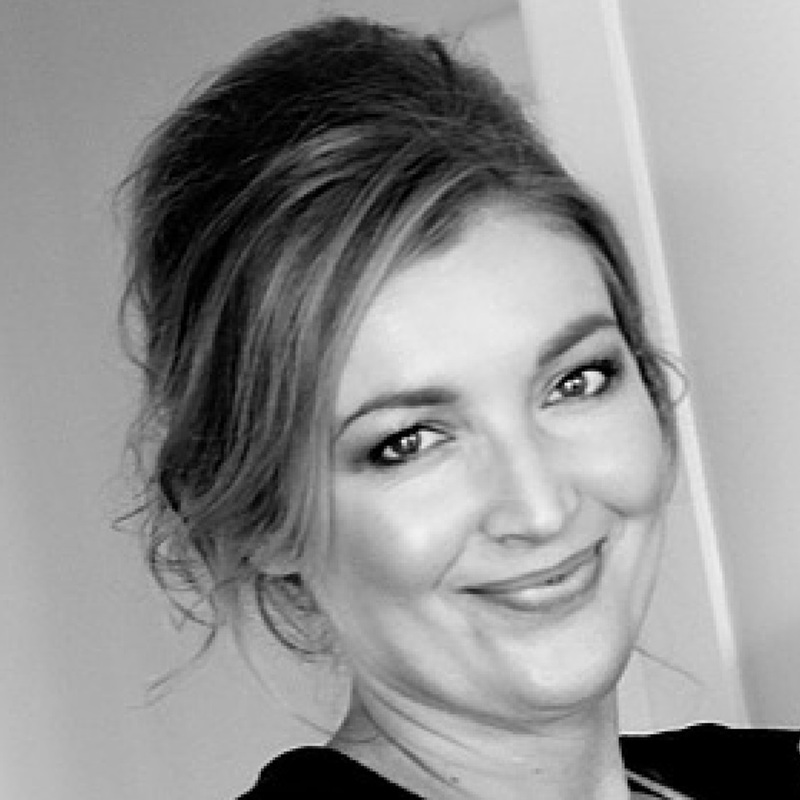 I don't know the secret to all the many tasks we women aim to accomplish in a day, a week, a month, but some things really are easily dealt with: you mention making those dental and hair appointments - just make forward appointments at the time you next have your hair done or you visit your dentist for a checkup. And if we have partners/husbands/family, we must learn to delegate some tasks, too. We are sometimes rather too fond of trying to accomplish everything ourselves when simply asking someone to pitch in would be the most sensible thing to do. Not only must we be chief cook and bottle washer, but we are also chief executives of our homes and, indeed, or lives. Yes! The little things make a big difference. At the same time, a person can't always take care of all the little things. Then it helps to be zen about what isn't done. I don't want to be like one relative, so overwhelmed by small things that nothing big or small ever got accomplished, nor like another one who is so focused on perfection--not having a single smudge of water in the bathroom basin and hair and makeup just so--that she doesn't do anything else with her life, including have a job. Perfect doesn't exist. I reserve my efforts for what matters most--family, friends, career. Happy Bastille Day, Fiona and others! My husband and I are closing on our dream house today (signing the papers to take ownership) and we're then going to a local French restaurant which is hosting a Bastille Day party. A double celebration for us! Your post made me think: I'm retiring in less than 2 months (which is when we're moving to our dream location and home, a goal we've been working toward for 9 years) and the thing that's bothering me the most right now is WORK. I have a large pile of work to accomplish before I retire and I cannot get motivated to tackle it! Perhaps today I will put on my headphones (I share a tiny office with someone), listen to some classical music and just make a dent in it. I have a few large Rubbermaid totes of books to sort. I've kept some of them for 40 years. My daughter is not a reader so there is no point passing them to her. I have worked on jewelry boxes and passed some items to family members. I'm 64 years old and healthy but if I were to die tomorrow, would I want others to have to go through a lot of "stuff". Chic is definitely simplicity and organization. "Putting one's house in order" is very important. Happy Bastille Day! What a lovely post Fiona. I have been busy lately, planning a wedding and kitchen remodel, and trying to make changes for the sake of my health. Today I'm hoping to take some time to just journal and think. I can't function if I'm feeling too scattered. I just tidied my kitchen, lit a candle, refreshed the flowers in the vase, and put on some of my favorites 40s music (Louis Armstrong, Ella Fitzgerald). Now I have some peace and quiet just to think. What a blessing! What a thoughtful and gentle post - just what I needed! It's so true that little things can bog you down. My resolution is to tackle those bothersome tasks - booking appointments, sorting papers, and replying to e-mails - in order to enjoy more of the small pleasures in the day. As always, thank you for your inspiring words. Great post. I definitely agree that being chic is so much more than a look, it's an attitude, a grace and a poise. It's what gives people that elusive charisma, and whilst style and grooming is an aspect, it's only one part of the whole picture. You have such a great attitude about life...I so enjoy the calm and serenity that your blog posts offer your readers...I am constantly editing our stuff as we have a small bungalow and I dislike clutter. I've recently found your blog and what a source of inspiration! So many practical ways to make my life a little more elegant. Sometimes I get bogged down with work and the last thing I want to do on my day off is tackle the housework but I'm trying to remind myself that this is my choice, and I can turn music on and clean up and reward myself with a hot bath and the next day I'll be able to enjoy a lovely home. Changing my mindset, asking myself what would the chic woman I aspire to be do. Thank you for helping me think a little differently, the inspiration and lovely words. Yes, you're right Margaret, life is a revolving to-do list, which is all the more reason for me to keep on top of things in order not to feel left behind! As a champion procrastinator this happens fairly regularly. My husband is great at doing his share so it's really for peace of mind that I like to remind myself. Amy, Happy Bastille Day to you too, amongst the sadness of the tragedy in Nice :( Congratulations on your new home and lifestyle. You may be like me in that a deadline is helpful. Just think, whether you motivate yourself to do your work now, or right near the end, soon you won't have to deal with it anymore. Yippee and good luck! Madame, I like to declutter as I go too. I don't want to get to retirement weighed down by my possessions. Thinking of others going through my things is definitely a good impetus! Deborah, it doesn't take much, true, to feel more centred, just like you describe with your kitchen tidy. I love the jazz ladies of that time so much. Olive, I hear you. Don't forget to send me your questions, too. Hi Ping! So nice to see you, have fun in California! Hostess, thank you :) I often think how happy I am that we don't have a bigger house or even a garage. Clutter is naturally kept at bay because there is nowhere to put it! Jennifer, welcome, so great to have you here. I'm glad you've found inspiration on my blog. Our mindset is really the only thing we can change, and it almost seems magical what we can achieve. I especially love doing as you've said - turning around something I dislike doing into something I am happy to do. PS I meant to say how much I liked seeing your cat - is this Jessica or Nina? Dear Fiona, This is exactly why your blog is my favorite of all time. Some other French Chic blogs tend to focus on appearances a bit too much for my taste. They focus on the technical stuff: you must have a trench coat, you must have ballerina flats, you must have a 10, 15, or 20 piece wardrobe, your home should look like this .... and on and on. That information is fine to know maybe, but once you know it and get it, well, that's about it. You have substance and I am constantly being inspired by you. I was going to say "I love what you wrote in paragraph #___, but as I look back at all the paragraphs in this post, there is something profound in every one! I can't tell you how much I appreciate what you write. Please do keep your blog exactly the way you want it, it's perfect. 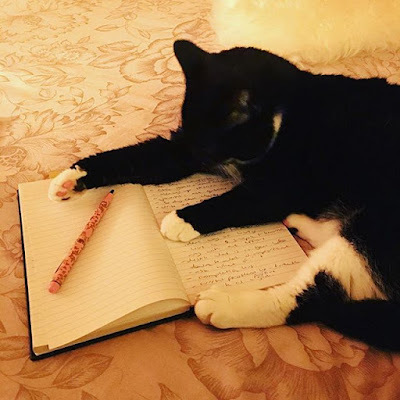 Margaret, that is Miss Nina, helping me with my journalling the other night! I've been trying to post a comment for 3 days with no success, but will try again :-) If about 6 turn up all at once, I apologize! 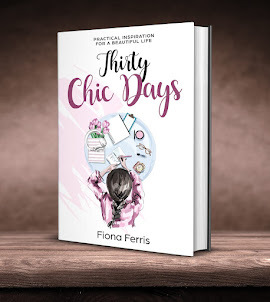 First, I want to thank you so much for your 30 Chic Days, Fiona. I thoroughly enjoyed every post, even if I didn't comment on many. I'm now reading through your first 3 series & enjoying them as thoroughly. And I just received your book, so now have that to look forward to! I love this phrase: I’ve become more of who I am – valuing simplicity, peace of mind, quietude and creativity. It's made me think hard about what my bottom-line values are -- and if I'm living up to them. And where I can embrace them more deeply every day. Also: incompletes! A friend dedicates every Friday to catching up on all these undone tasks & chores than hang over us, and I keep thinking I need to adopt her method. I made a list a few days ago & have over half of them done already -- I did two this morning that I've been avoiding for weeks. And the annoying thing is, they took me about 5 minutes each! All that angst over 5 minutes. How very unchic! LOL! Hi Susanne, oh dear, I'm so sorry about the comment situation. I turned off 'word verification' last week but I see the photos still come up. There is nothing else to turn off in the comments section. If anyone has a thought on how to turn off the photo verification, I'd love to hear it! What a great idea to dedicate a day to incompletes, and you're so right, often they are really quick jobs. Having a day where you check in with a list is more of a motivation to keep a list too. Setting up good systems that you will actually do is the key, so I'm going to try this one, thanks! I'm pretty sure I just fixed the comment situation, with a bit more sleuthing, hallelujah. Hi Fiona. 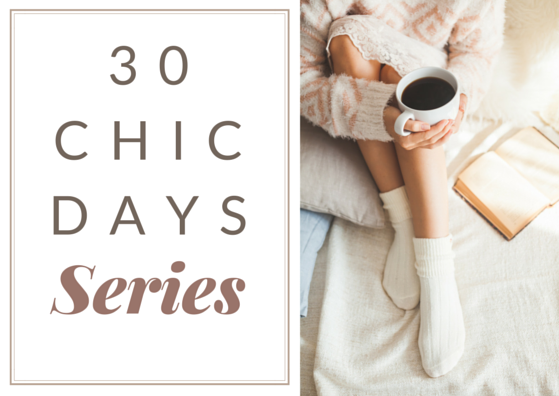 I was just re-reading some of your 30 Chic Days series one about Sabina ironing a nice shirt to wear for the day (acting as if) and the lavender coming in the window of her breezy apartment, etc. and it was so vivid about her running out to catch the metro.... and was thinking have you ever thought of writing a fiction book about Sabina and her life living in Paris? Hi Carla, I'll definitely think about it. I've written a bit of fiction however non-fiction flows easier to me. That's not to say I would never write a fiction book though! 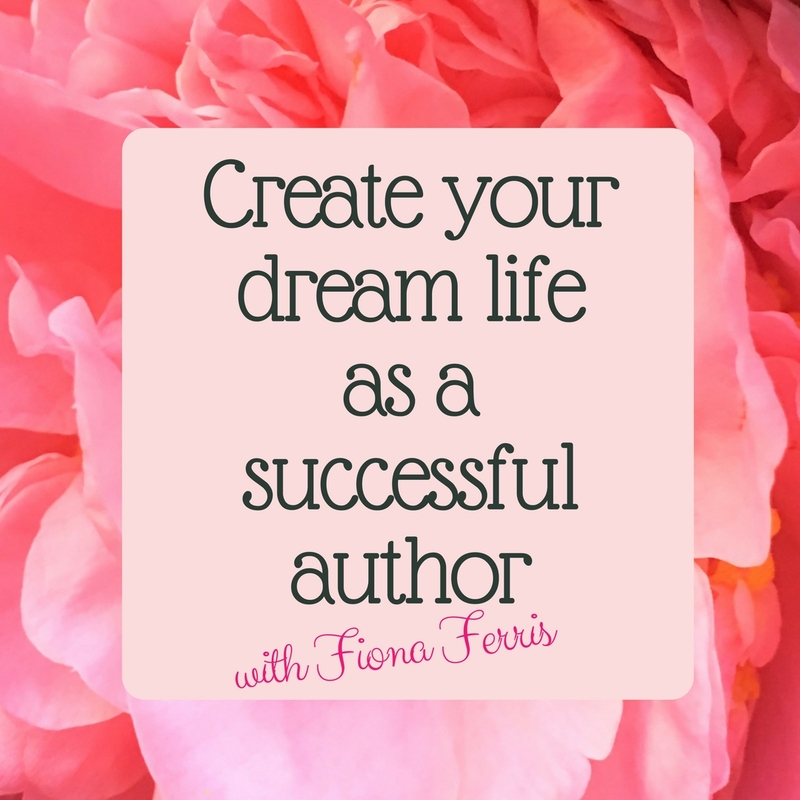 Hi Fiona, I just wanted to let you know that, I enjoyed this post so much that I will be linking to it as my blog post of the month in tomorrow's post on my own blog.